It is their cheaper store brand energy drink comparable to energy drinks like Red Bull. Source is also available in a sugar-free version. How Does Source Energy Drink Compare? 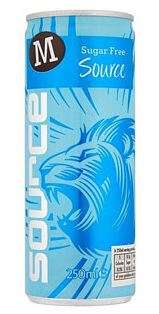 Source Energy Drink contains 9.46 mgs of caffeine per fluid ounce (31.98mg/100 ml).